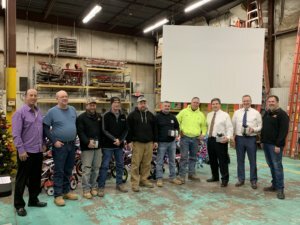 Employees Honored for 25 Years with Manafort Brothers - Manafort Brothers Inc.
At the last safety meeting of 2018, we honored our employees who have reached their 25 year anniversary with Manafort Brothers! They each received a gold watch in appreciation of this milestone. Thank you for your years of hard work and dedication!